It is that time of year again Autumn, Halloween, Guys Fawkes Night. Get ready for longer evenings, crisp cold mornings, warm fires, golden leaves and traditional pumpkin carving! But if you’re looking for something a little bit different to do this year, why not give the season a tree house twist. Decorating for Halloween doesn’t necessarily mean gaudy, sinister novelties. Here are some of our favourite ideas for a seasonal treehouse transformation. Most people are (at least to some extent) fearful of the dark – but dimming the lights can be a great way to create an eerie atmosphere. In a house made of wood, fire is definitely not recommended. Fear not, battery powered tea-lights are a great, safe alternative – they may even last longer than the candles! Give used coffee, jam and other jars a new lease of life by turning them into great little lanterns. Place a flameless tea–light inside and place the safe flameless lanterns around the edge of your tree house and deck. For an upbeat and less creepy twist on traditional pumpkin carving, why not join in our “tree” or “tree house” themed pumpkin carving competition? This year we are challenging the Blue Forest team to come up with the most original tree house themed pumpkin carving. The results will be posted on the Blue Forest’s Facebook page for you all to vote on. The fun need not stop there however, why not join in the competition! Clean out your squash’s insides, carve out a tree or tree house shape, send us a picture of your designs and we will post it to our Facebook page for you. Colourful autumn leaves can be used to decorate your home or tree house. Autumn leaf inspired designs bring amazing hues and texture inside, creating fabulous natural decorations for every room. Especially if you live where tree leaves turn brilliant yellow, orange, red and purple colours you can easily make autumn leaf decorations for your rooms. Bright leaves, twigs and branches bring a charming rustic feel into your room decor, creating beautiful home interiors. If you don’t have time to do it yourself then websites like Etsy and NotOnTheHighStreet have some great handmade ideas. The evenings are drawing in and the nights are getting longer. This is the perfect time to make your tree house or home feel cosy. 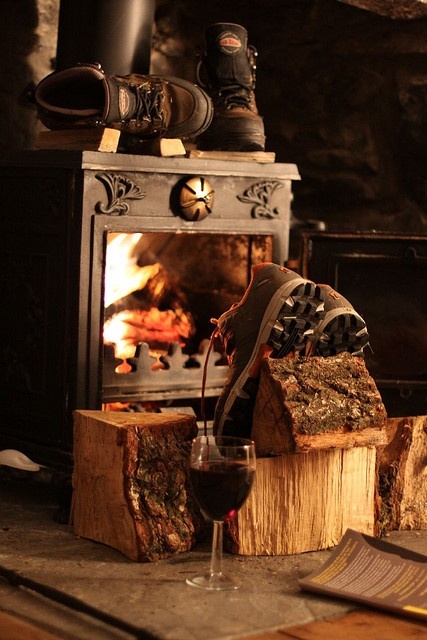 If you are fortunate enough to have a log burner in your tree house then now is the time to stock up the logs, light the fire and make the place toasty and warm. If you don’t have a log burner then there are some great alternatives. Suitable for both tree houses and for your home. The Flavel Thurcroft LPG Gas Stove is an extremely realistic alternative to a log burner. It is free standing and in most circumstances it doesn’t require any adjustments to the room (ventilation / flue) but feels and looks just like a real fire and kicks out loads of heat.